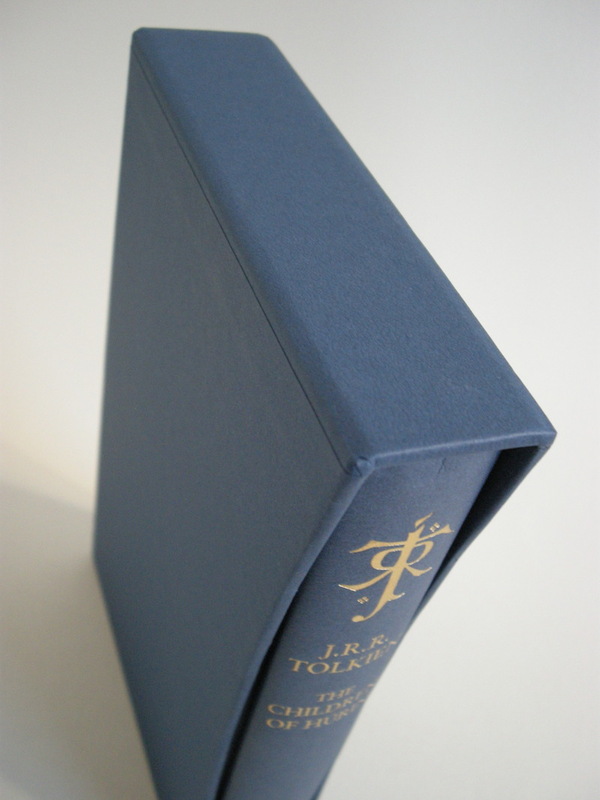 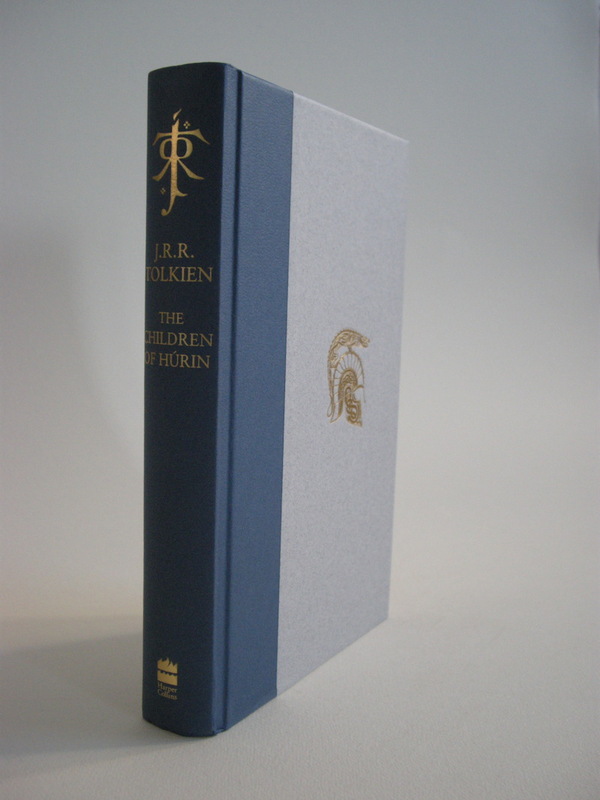 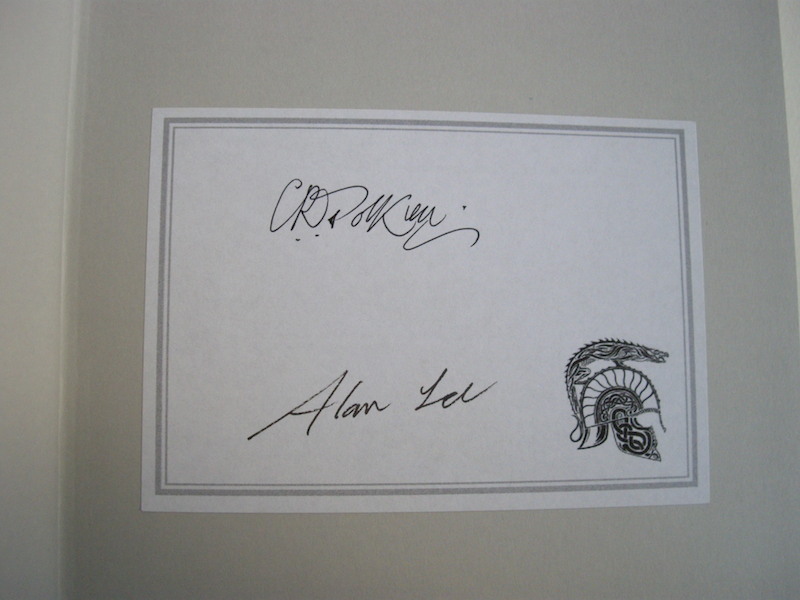 Signed by the editor and illustrator, Christopher Tolkien and Alan Lee, to special bookplate. 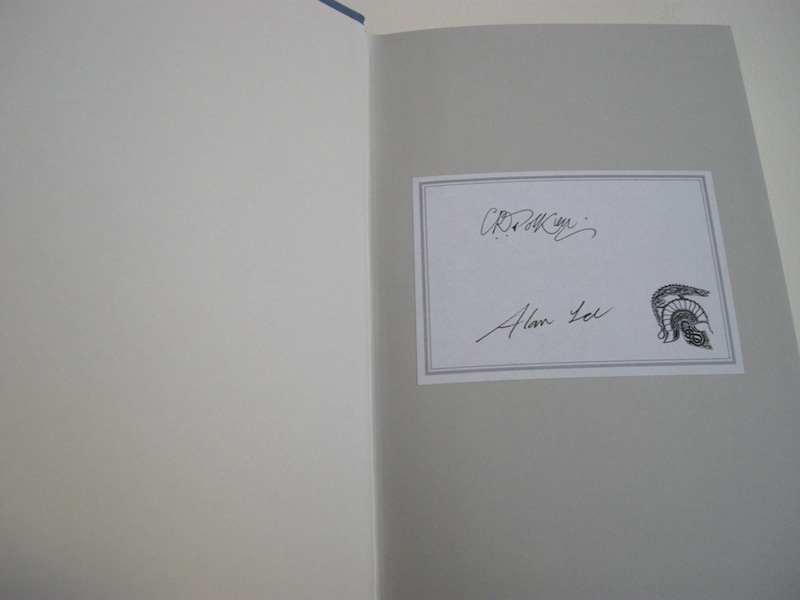 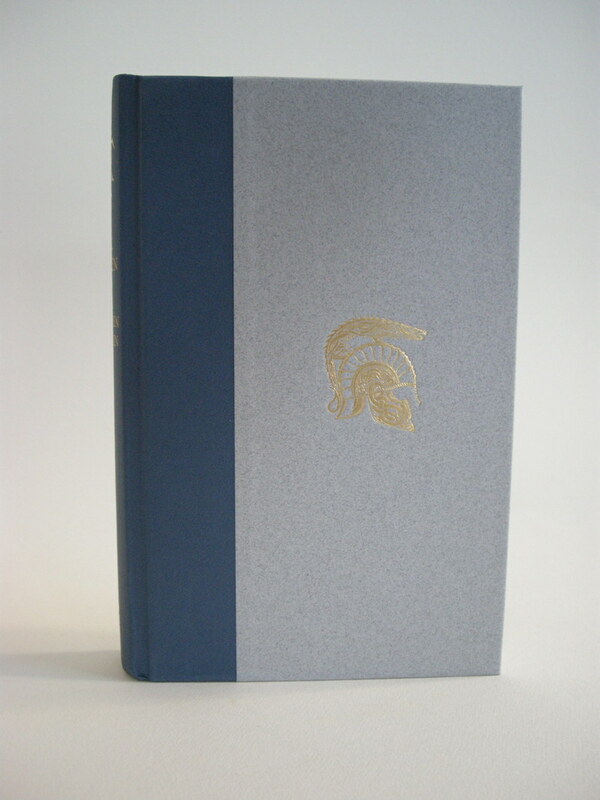 The bookplate featuring Alan Lee's motif of the Helm of Hador, attached to the half title page and is signed by Christopher Tolkien and illustrator Alan Lee. 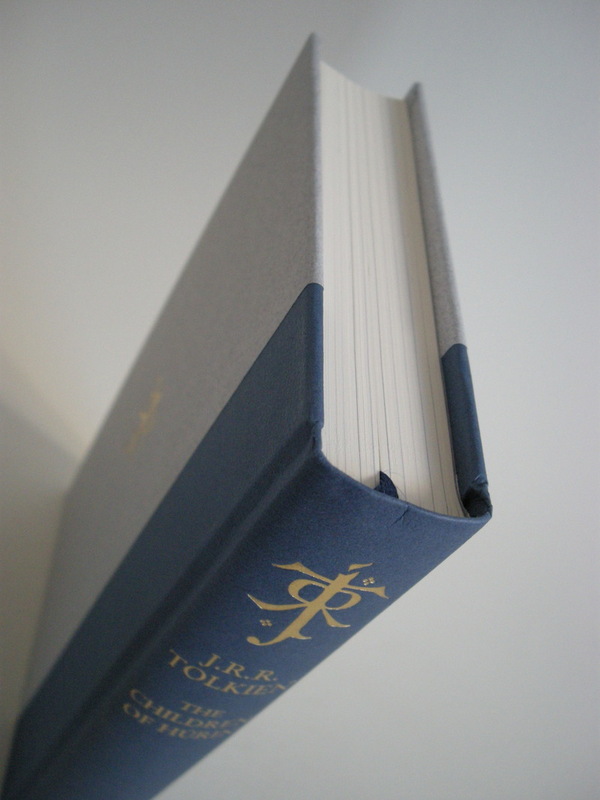 With HarperCollins wishing to reach out and do something special for the loyal Tolkien fans, along with Christopher Tolkien's reluctance to grant public appearances, they conceived the idea for a signed bookplate, which Christopher Tolkien and Alan Lee both agreed to. 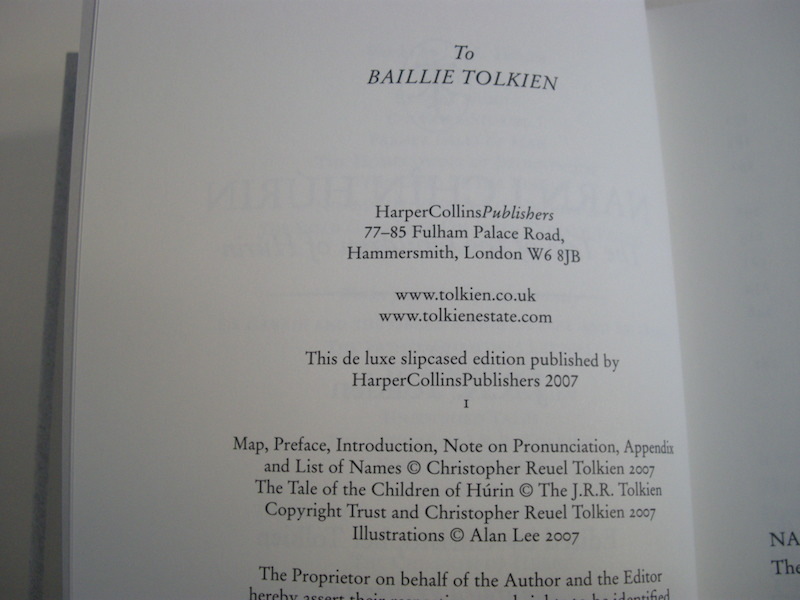 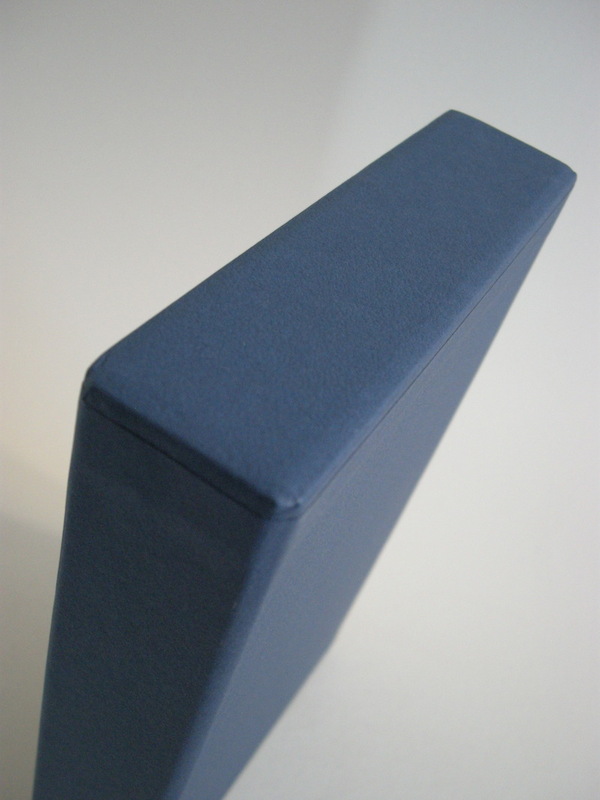 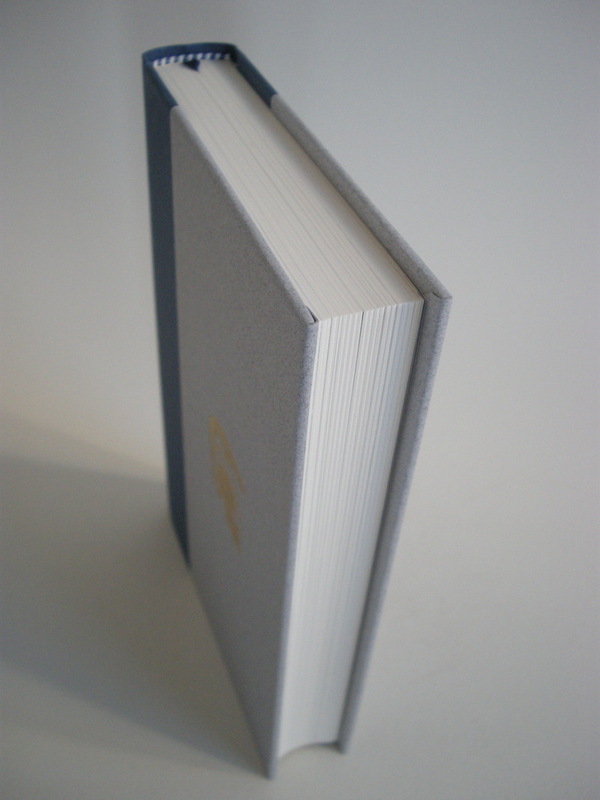 It seems approximately 900 bookplates were signed, with less than 500 for distribution in the US, and only 250 for the UK, with the remainder held for other promotions. 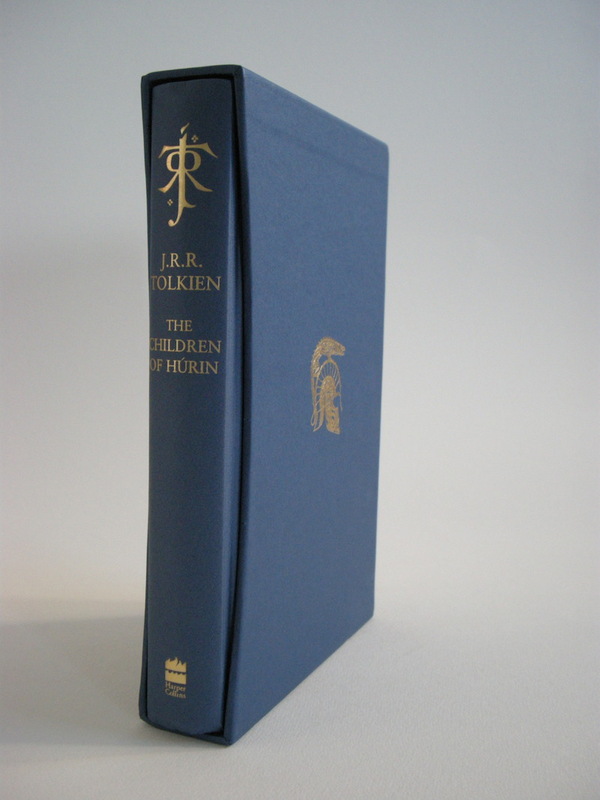 This is the rare UK edition! 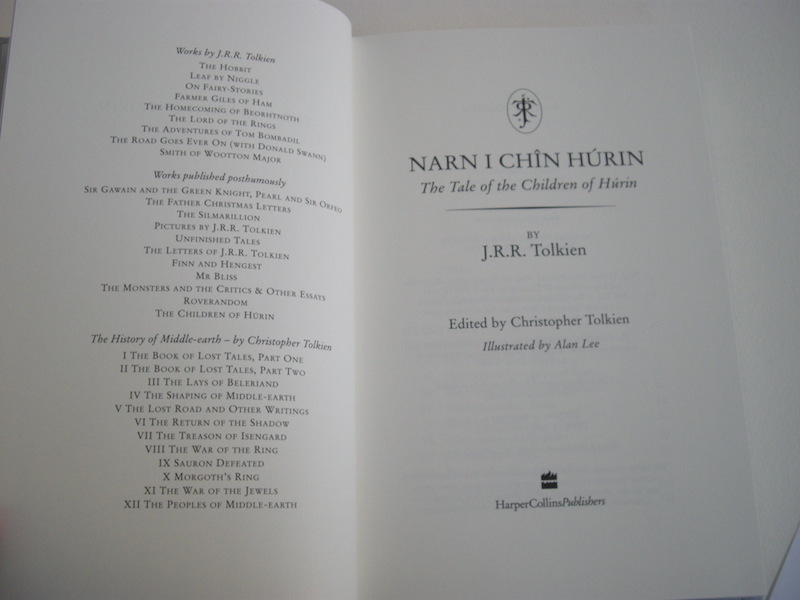 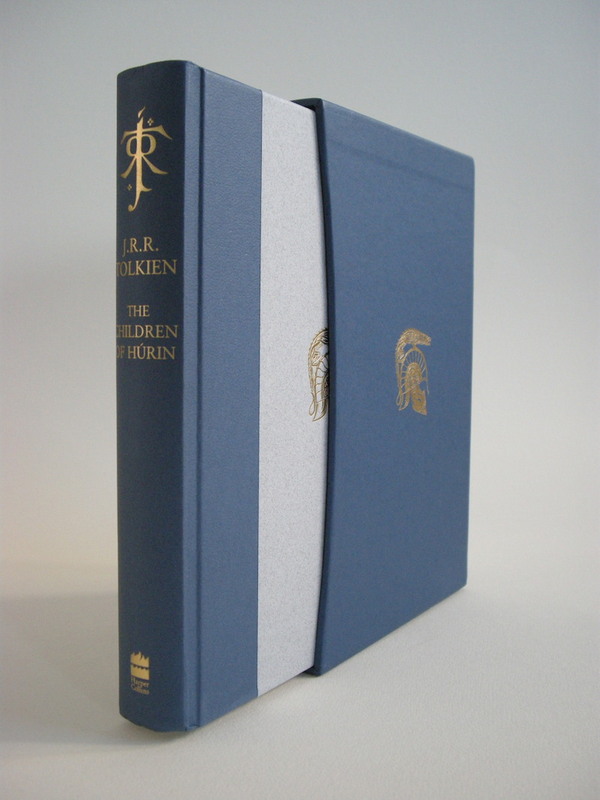 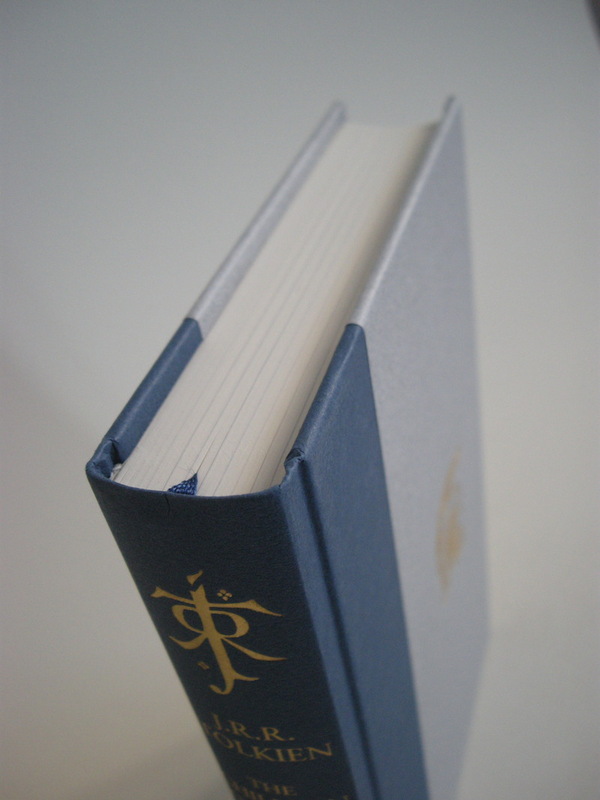 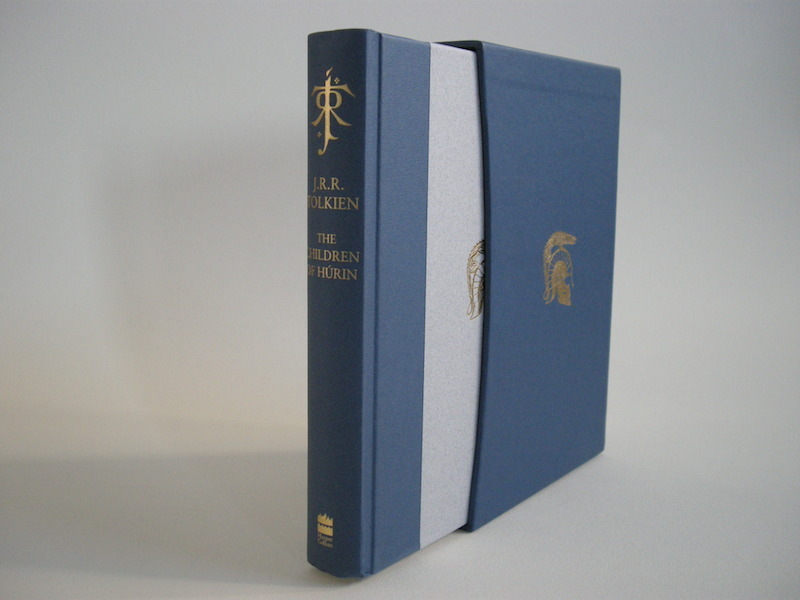 Three of these copies were given away as prizes on the Tolkien Library web site, during the "Children of Hurin" Release Party.